Real Madrid manager Zinedine Zidane is planning a raid on Manchester United in order to capture three of their stars, according to multiple reports. Los Blancos are currently third in the La Liga standings, and they sit eight points behind arch-rivals and league leaders Barcelona. Zinedine Zidane’s men have been an extremely disappointing start to the season, and as it appears, the French tactician could bring in multiple signings in order to improve his line-up. Multiple reports via Manchester Evening News suggest that the former Galactico is preparing for a colossal raid on Jose Mourinho’s squad in the upcoming winter transfer window. As per The Daily Express, United’s ace midfielder, Juan Mata, sits quite high on the list of potential candidates who could make a switch to the Bernabeu this January. The Spaniard hasn’t had the best of starts to his campaign, and now, his future at Old Trafford could come to an end if Mourinho decides to sell him once again. With Mata’s current contract set to expire next summer, the Spanish international could complete a transfer to his homeland in January itself. However, the Red Devils do possess the option to extend his deal for one more year, and Mourinho has previously claimed that the club is likely to activate it. In a separate report by the Mirror, it was claimed that Zlatan Ibrahimovic and Ander Herrera were also being closely monitored by the reigning European Champions, as they consider plotting a double swoop for the star duo. 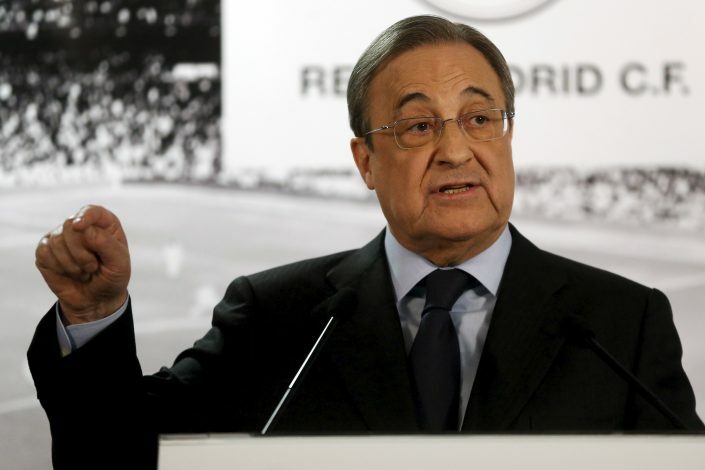 The report also stated that Los Blancos’ president, Florentino Perez, was drawing up a squad revamp after Madrid’s shocking loss to Tottenham Hotspur at Wembley in the Champions League group stage clash.